Many people facing one great problem with Google Plus and internet . Problem is Google Plus takes long times to load in browser. This is because of time taken for loading GIF images in stream. 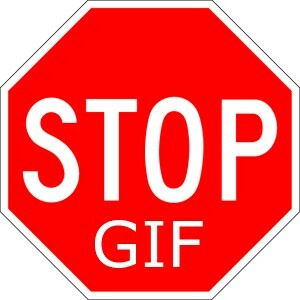 But now you can stop it using Google Chrome Gif Stopper extension. Gif Stopper will stop animated gif images with using the escape key. Using this extension you just need to press the escape key and the image stops. You can use this extension not only on Google plus but also any website for pause or stop GIF animated images. This extension help you to get free from GIF images on your Google Plus wall.